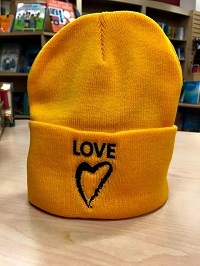 Proclaim your commitment to justice in warm comfort with our Side with Love winter hat. Don’t let cold weather stop you from siding with love! Cuff embroidered with the Side with Love heart and “love.” One size fits most.